Obituary for Eulah Lee Legg | Thomas Funeral Home P.A. Eulah Lee Legg, 88, of Cambridge passed away on Wednesday, August 22, 2018 at Bayleigh Chase in Easton. She was born in Cambridge on April 15, 1930 and was a daughter of the late Everitt McNamara Layton and Eulah Cantwell Layton. Mrs. Legg graduated from Cambridge High School class of 1947 and also graduated from Madison College with a B. A. Degree in Education. On June 15, 1963, she married James Emory Legg, who passed away on February 4, 2007. 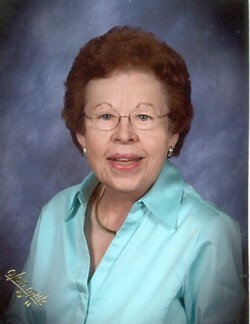 Mrs. Legg was a Home Economics Teacher at South Dorchester High School and taught for 27 years. She enjoyed gardening and was a member of the Dorchester Garden Club where she was president from 1995 to 1997, a member of DAR, Retired Teachers Association, Women's Club and Zion United Methodist Church, where she was very active in church activities and also sung in the choir. She is survived by numerous close friends. A funeral service will be held on Wednesday, August 29, 2018 at 11 am at Zion United Methodist Church with Rev. Michael Hurley officiating. Interment will follow at East New Market Cemetery. Friends are welcome one hour prior to the service. In lieu of flowers, memorial contributions can be made to Zion United Methodist Church Endowment Fund, 612 Locust Street, Cambridge, MD 21613. Arrangements are in the care of the Thomas Funeral Home, P.A. in Cambridge.